As we join our families and friends for Fourth of July festivities, let’s take some time to appreciate the freedoms we have in the United States. This is also an appropriate time to give thanks to our service members, past and present, for their strength and courage protecting our country every day. Please be sure to take safety precautions while traveling, using the BBQ, and swimming this holiday weekend. The cities of Buena Park, Costa Mesa, Garden Grove, Huntington Beach, Santa Ana, Stanton, and Westminster are the only Orange County cities that allow state-approved fireworks. Lastly, as we look to spend more time at our local beaches and parks this summer, I’m happy to share that our own Sage Park in Anaheim received a $302,350 renovation grant from the Department of Housing and Community Development. The Canyon Hills Community Council invites you to the 24th annual Fourth of July Celebration where over 30,000 people will gather to honor the brave soldiers that defend the United States. 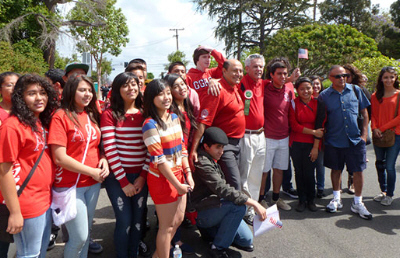 The parade and celebration will take place from 8:00am to 9:30pm at Peralta Park – 115 N. Pinney Drive, Anaheim. The City of Fullerton presents its annual Community Fireworks Show and Festival, which will include live music, fireworks, games, and food booths. The July 4th Celebration will take place from 5:00pm to 9:30pm at the Fullerton High School Stadium – 201 East Chapman Avenue, Fullerton. The City of Santa Ana is hosting its annual Independence Day Celebration with live music, food, fireworks, and much more. The celebration will take place from 2:00pm to 9:00pm at Centennial Park – 3000 W. Edinger, Santa Ana. For more water safety tips and information, please visit California Department of Water Resources website. For more fire safety tips, please visit the California Department of Forestry and Fire Protection website. For more grilling safety information, please visit Consumer Product Safety Commission website. LOOKING FOR FAMILY ACTIVITIES THIS SUMMER?